Cobo Custody provides comprehensive digital asset custody--optimized for institutions. Our tailored custodial solutions include 24-hour customer support, a comprehensive and customizable risk management policy, and global distribution of private keys. Cobo Custody's clients include exchanges, token funds, projects, digital asset management platforms, and others. Cobo Custody utilizes bank-grade HSM hardware to manage client private keys, ensuring that they are never exposed at any point during the transaction signing process, while our secure API, address whitelisting/blacklisting, and customizable transaction speed limits prevent suspicious transactions from going through. A comprehensive transaction verification process involving multi-role authorization and automated behavioral analysis guarantees the authenticity of each transaction request at each step of the approval process. Cobo Custody supports BTC, ETH, USDT, BCHABC, BCHSV, DASH, LETC, ETC, TRON, EOS, and other projects. Clients may also request support for additional blockchains. For advanced clients, we offer a safe API that can be flexibly used for all types of business scenarios, including high-volume exchange or payment. Dual Custody: Also referred to as "partial" or "joint" custody, clients may set up a customized distribution of private keys in a multi-signature scheme, split between Cobo, themselves, and trusted third parties. Total Custody: Delegate all private key management to Cobo Custody. Clients control their assets through a comprehensive transaction verification process involving online/offline KYC, multi-role authorization, customized transaction limits, etc. Cobo Custody makes it easy for clients to grow and protect their crypto assets. Beyond hot-cold storage of funds, bank-grade HSM, multi-signature authorization, and a customizable risk management policy, our sevice can help clients grow their assets through our innovative staking features and other tools. Set up masternodes, ticket pools, or other staking vehicles through Cobo Custody. 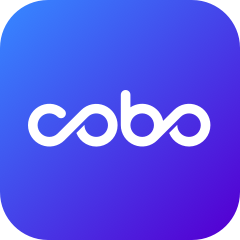 Get more information about Cobo Custody, click Cobo Custody Official Website.